Often I see books launch into the market with zero reviews or only a few reviews. With over 4500 new books entering the marketplace every day, it is a challenge for any author to find readers—and to find readers who will write a few sentences of honest review and post it on Amazon and Goodreads and other sites. In this article, I want to encourage authors to take an active role at getting book reviews and give you some resources and insights. First, take your own responsibility for getting book reviews. Whether your book is brand new or has been out for a while, continually work at getting reviews. When you get a review—especially a positive one—promote or tout that review on your social media connections (Facebook, Twitter, LinkedIn, etc). Go to this article from Tim Grahl about Amazon reviews, scroll down to the bottom and get his free download because of the tools you will get to help you gather reviews. * They receive an average of 2,000 titles a month to review and select 600 to 700 a month to actually review. * Books are rejected for possible review for several reasons including not following their submission guidelines, poor covers and serious production problems. *Midwest Book Review emphasizes self-published books and books from small presses. Cox explains his reasons in this article. He also encourages authors to produce excellent books—edited and designed well. These foundational elements are missing in many books and some of the reasons for books not to be reviewed (rejected in this process). Third, learn about how to get book reviews. 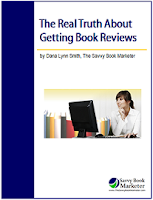 I interviewed Dana Lynn Smith on this topic and have a free teleseminar teaching authors about how to get book reviews. With the sheer volume of books entering the marketplace every day, it is a challenge for authors to get book reviews. Write a great book. Produce a great book (design and production is important) then finally take action to get your book reviewed. I've seen a number of books that have well-done production, great endorsements and zero or few reviews. The details are important and I encourage you to take an active role on this process of getting book reviews. 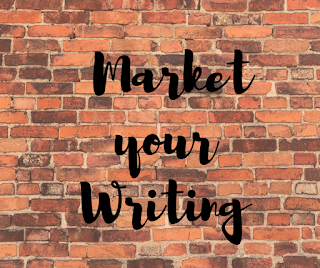 W. Terry Whalin is an acquisitions editor at Morgan James Publishing and the author of more than 60 books including Jumpstart Your Publishing Dreams and Book Proposals That Sell. He has over 200,000 followers on Twitter and lives in Colorado. I'm glad to see this, Terry. I couldn't agree more! In fact, the newest book in my multi award-winning #HowToDoItFrugally Series of books is How to Get Great Book Reviews Frugally and Ethically. It is a big, 300 page book. So much to know about getting the most of reviews and why they are such a great marketing device! Thank you for the feedback about this article. You certainly know the drill from your years in this business. Terry, this is such a useful article that is sure to help authors get their books reviewed. Thanks for all the resources. Thank you for the feedback and comment. I appreciate you.